Every month The AEGEEan selects a member of the month from the inputs we receive from the Network. 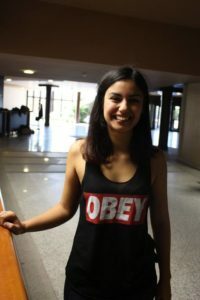 In November the choice was Francesca Zorcolo from AEGEE-Cagliari. She has been a member of our association for some years, being in the team of Agora Cagliari 2014 organisers and President of the board of the Italian local 2015-2016. 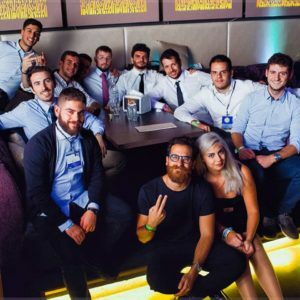 In November she was the Main Organiser of the Network Meeting (NWM) in Cagliari, the first in the history of the local, and was selected as SubCommissioner of NetCom Gabriele Scollo (AEGEE-Firenze) helping Italian and Maltese locals in FR. The AEGEEan: Who is Francesca in AEGEE? 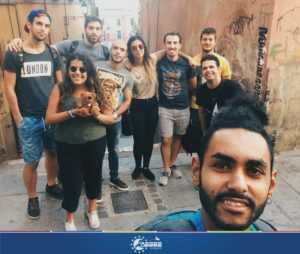 Francesca: I have been a member of AEGEE since February 2014, and my passion for it has been growing since the first Agora I have been to, Spring Agora Patra, and even more with Autumn Agora Cagliari. I was part of the executive board for two years and my mandate has just expired. If people ask me who I think I am in AEGEE I always answer that I feel like I am kind of a mom to AEGEE kids. This year I am SubCommie for the Network Commissioner Gabriele until Autumn Agora Catania. Who is Francesca outside of AEGEE? I am a desperate economy student, a basketball referee and the former founder of a local LGBT association, as well as the founder of a start up about lateral thinking. You have been nominated as Member of the Month of November. How do you feel? I am embarrassed… Ahahha, just kidding, I feel very honored and proud, and I really want to thank everyone for it! Your term as President of AEGEE-Cagliari just finished. How would you describe this year? What do you think is your biggest achievement with your board? This past year has been one of the greatest of my entire life. One of the things I am most proud of is the fact that we were able to share more information about the European opportunities for our members and we were lucky enough to create a very well connected group of people! You were the Main Organiser of NWM Cagliari. How did it go? It was amazing! We pictured this event so many times before it happened, and when it did, our expectations were exceeded. This was because of the incredible people that participated and worked for it. I especially want to thank former Network Commissioner Lisa Gregis (AEGEE-Bergamo) and Financial Director Zvonimir Canjuga! We had so much fun, but it was also a learning experience for everyone. What were the biggest challenges in organising the event? What were the biggest rewards? I always want to keep up with everybody’s expectations. We were really worried about something going the wrong way, or not as we planned. 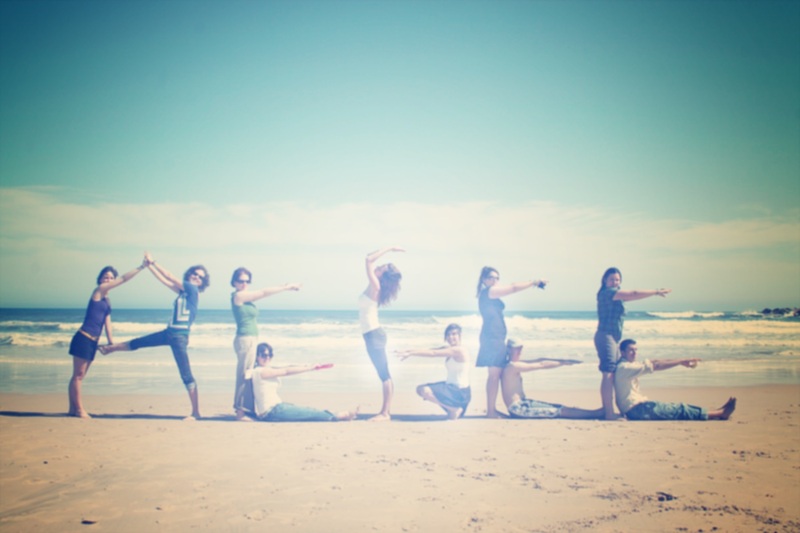 But, as soon as we saw people very happy and proactive, we understood that everything was going in the right direction. I am very happy that we were able to talk about joining forces with other teams and many members have now double memberships. That is how networking works! A downside can be that sometimes we are not able to share our stories with people outside AEGEE, and to let others know what we are, and in my opinion that is one of the reasons why the number of members is dropping. On the other hand, the thing I love the most is the fact that it lets you feel like home in each part of Europe you are, and that inside AEGEE everyone gets the chance to grow and get experience in what interests them. I am not sure right now, but after spending these two amazing years working at local level, I think it is time to expand my horizons, and that is why I am very glad to be a SubCommie in Gabriele Scollo’s team, for something else we will see!